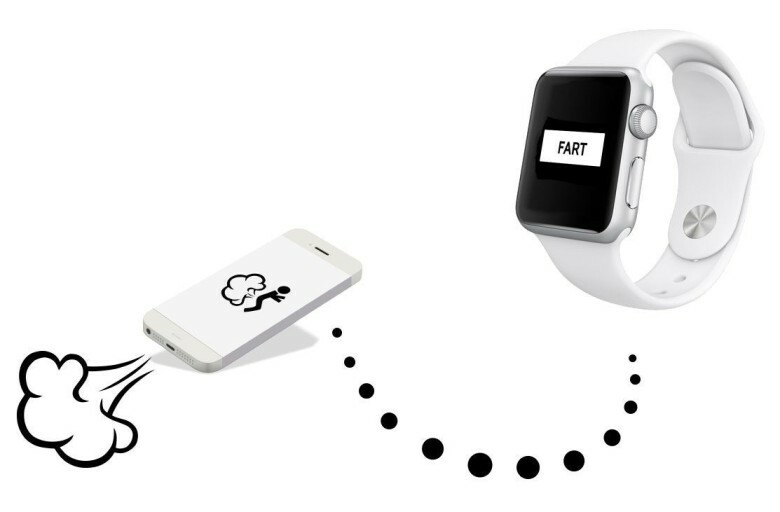 Back in March, we reported on Fart Watch, the first Apple Watch fart app. Like a glorified whoopee cushion, the idea was that you put your iPhone underneath someone’s seat cushion, then used your Apple Watch as a remote to let a fart rip by pushing a big blinking “Fart” button on your wrist. Not that the world needs another farting app, but it’s surprising to see Apple taking such a strong stance on the matter when there are so many fart apps on the iPhone. Then again, it’s hard to sell something like the Apple Watch as a luxe fashion accessory when celebrities like Pharrel and Beyoncé are using their Apple Watches to fart on command. In the meantime, the developer of Fart Watch says he is already planning another Apple Watch business: WatchPops, a type of bling for your Apple Watch strap. You can sign up to be notified when it launches here.